When people tell me they gamble for the fun of it, I find this hard to believe. It beats me but I simply cannot see the point of ‘enjoying’ losing money for the sake of it. Honestly, if I would find any pleasure in losing money, I would seek out far more thrilling methods of departing from it. I can assure you that watching cinders of cash spiralling away in the air is great fun. Alternatively, take a wad of bank notes and flush them down the toilet – Disposable income can be art! The point is if you truly enjoy losing money then there are better ways of getting rid of it than gambling it away with all the dashed hopes and strained emotions which go with it. Unfortunately, gamblers are masters in the art of self-deception. They are convinced they gamble primarily for fun and don’t mind losing. However, I would bet their real motive is to make as much money as possible from as little funds as available. I am sorry to shatter this dream, but getting rich quick with gambling is practically impossible! Indisputably, there are sometimes cases of people winning the lottery, or making a fortune by placing a high odds accumulator. This cannot be denied. These rare examples exist and are widely broadcast in newspapers, used for marketing by bookmakers, casinos, and stock exchanges. Why? – Because big wins such as this happen rarely and people get sucked into dreaming about replicating such successes. How many millionaires do you know who have become wealthy by pure gambling? – I don’t know any. On the other hand, I am acquainted with a good number of people who have become rich by managing or investing money in businesses. Therefore, if you are a pure gambler, if you are somebody who regularly bets or plays cards, or risks money on financial trades such as shares or forex, your lack of knowledge and skills probably mean you are just ‘hoping’ to strike it lucky on something you know little about. I can assure you that I also know enough people personally who have lost large and small fortunes; people who cleared their hard-earned savings accounts and in some cases undid a lifetime’s work by overestimating their own abilities. Those people believed they were smarter than the average person, which gave them a licence to think they could beat the market. Greed is the worst guide. Boredom is another enemy. Believing that you can beat the market whilst others fail is delusional. What are your special skills? Where is your advantage? … but not with gambling!!! Are you looking to escape the rat race and join the nouveau riche? What do you have to offer? Which standards of expertise and excellence can you exhibit in a conversation interesting enough for successful people to value your thoughts? Why should managers, investors, businessmen, and other entrepreneurs listen to your opinions and wish to spend time with you? It is likely that you won’t be able to answer these questions immediately, but start thinking. It is never too late! Begin working on changing your mindset. Reflect on your skills. Become somebody successful people want to mix with. 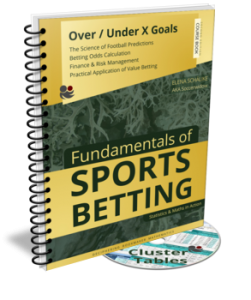 If You Are Truly Into Betting – Then Learn The Maths! I’d like to add something with regard to betting for entertainment. 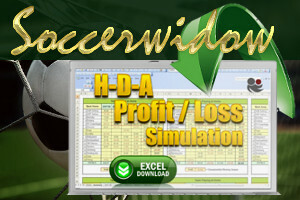 By far the most entertaining way to bet is to bet accumulators on outright sports markets. I could say a lot more but I would probably get carried away. I just think it’s a real pity that more people dont realise that you can effectively ‘support’ many of the best teams by placing them in long term multiple bets. I really like the tone of honesty in all your posts I have read so far. However, I just don’t get it. Why do you do this? It’s like shooting yourself in the foot. It’s one thing for bloggers in the betting industry to put a link of “Bet Responsibly” in their posts (for legal reasons I guess), and another to go extra miles to give evidence of the negative effects of gambling. You give solid anti-gambling advice but at the same time sell products that help people gamble. Does this not affect your sales negatively? If you have answered this question already, can you share the link to that post, please? I got into gambling only recently, and I consider myself lucky for finding your site. I don’t think it will stop me from gambling completely, but when I do gamble, I hope to do so from a more enlightened place by using your products. Many thanks for your comment! I have to admit that I was very pleased to read it because this is something that Google Adwords, for example, doesn’t seem to understand or accept. We are not allowed to advertise any of our products with them purely because we use the terms “betting” and “gambling” throughout our website. This seems a little strange as, in Germany for example, we are the only (!) website dedicated to teaching “responsible gambling”, not just preaching about it but by providing evidence of the negative effects of gamblers’ own false beliefs. There aren’t any Gamblers Anonymous or GambleAware websites for German readers. We are seemingly the only one making an impact with this type of education. To understand the roots of our blog please feel free to read the following article: Observations of EPL Football Mania in Uganda. It was one of our first ever articles and provides some background information about how this website came into life. We also answered a few Ethical Questions in the FAQ’s relating to our Over/Under Betting Course. Just scroll down to the end of the article.